Clients often give great feedback and from time to time they put it in writing as well. Here are some of the comments…. 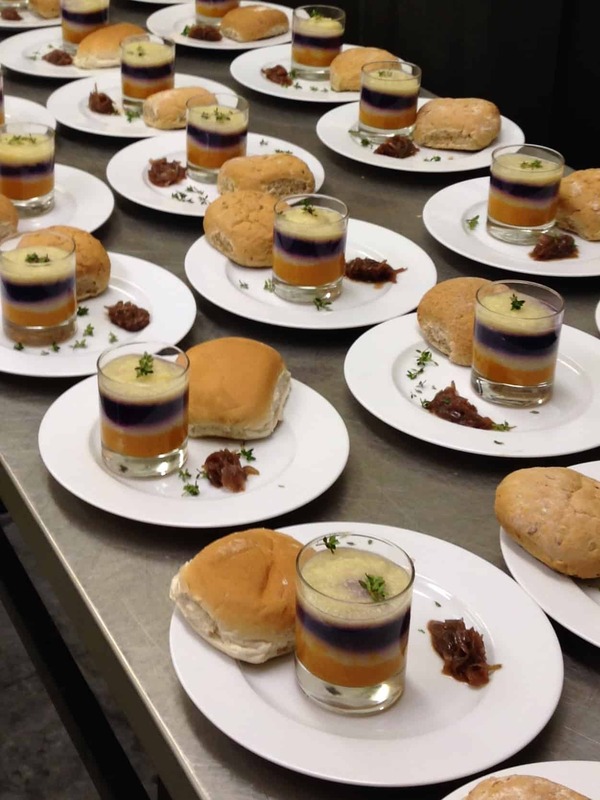 He listened to what the bride and groom wanted, created some beautiful dishes and did us proud. He is passionate about what he does and this comes across in his food. The wedding day was as stress-free as it could have even, mainly down to the professionalism of both Paul, Carolyn and their wonderful team. See our Wedding Menus – here. 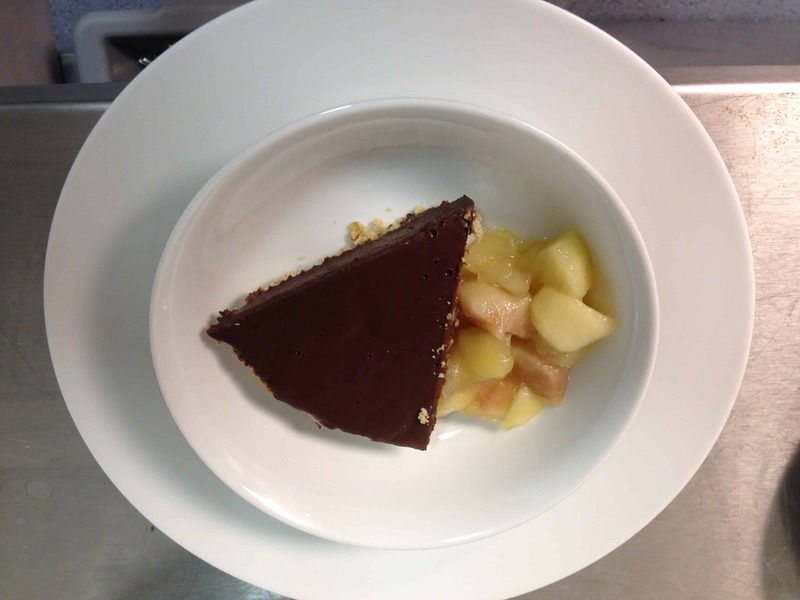 Feedback on The Late Chef starters and desserts served at the recent Oxford Real Farming Conference 2015 in Oxford Town Hall. I created a vegetarian & vegan starter made from organic winter vegetables from Sandy Lane. Here are a few being plated. The layers are Carrot, Cauliflower, Red Cabbage and Parsnip. 1855 awarded second in the 2014 Oxfordshire Restaurant Awards. 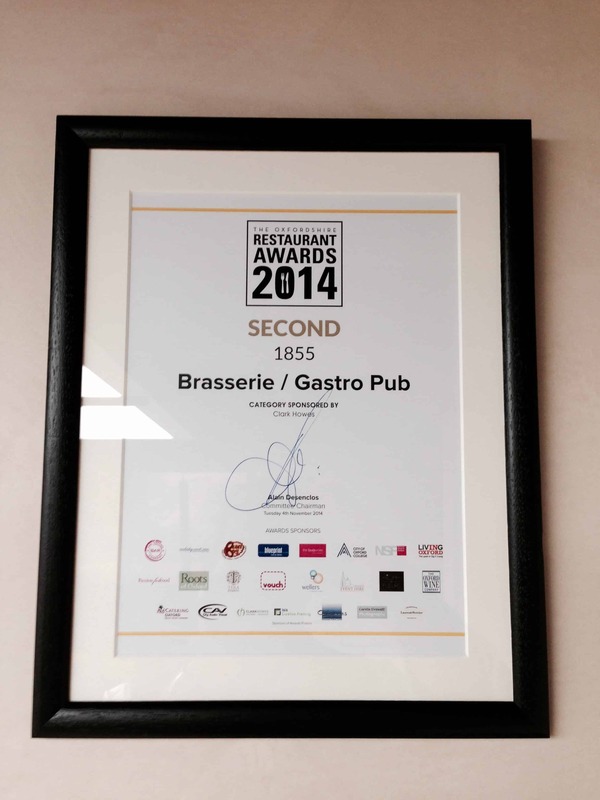 As the chef involved with advising and creating the menu I am extremely proud that I was able to be part of to a well-deserved award won in its first year of opening!